This weekend, The Little Plaster House opened its doors to delight young and old alike. The Little Plaster House is a plaster painting party place located in the North Western Suburbs of Sydney. It is the creation of Elma Davies, a full time Western Sydney working mum, who says that "the inspiration for the business came to me after my crafty 6yr old daughter requested a plaster painting party for her birthday. The only option was in the city and Eastern suburbs." The Beautifully Colorful Little Plaster House. The Little Plaster House is in Bella Vista and is open on weekends to host parties for children between the ages of 2 and 12 years. The studio is designed to fit a maximum of 25 children and the minimum is 15 children. Personalised invitations along with all the art materials, aprons, paper products, party snacks, cordial and water are supplied. Dress up and bring your birthday cake and your friends and make it a party to remember. There are 3 stylish parties that can be booked for children and even one for Mum and her friends. 2. Little Van Gogh Party - $24per child. A fully hosted party at our venue with everything in our basic package plus additional party food including fruit, fairy bread and jelly. 3. Fairy Party - $25per child. Everything in our Little Van Gogh party... But we provide the wings! In addition to the plaster, each child will also decorate their own wand. 4. Art-Tea Ladies night - $35 each. Which is a plaster and paint night for the girls which could be a great deal of fun. 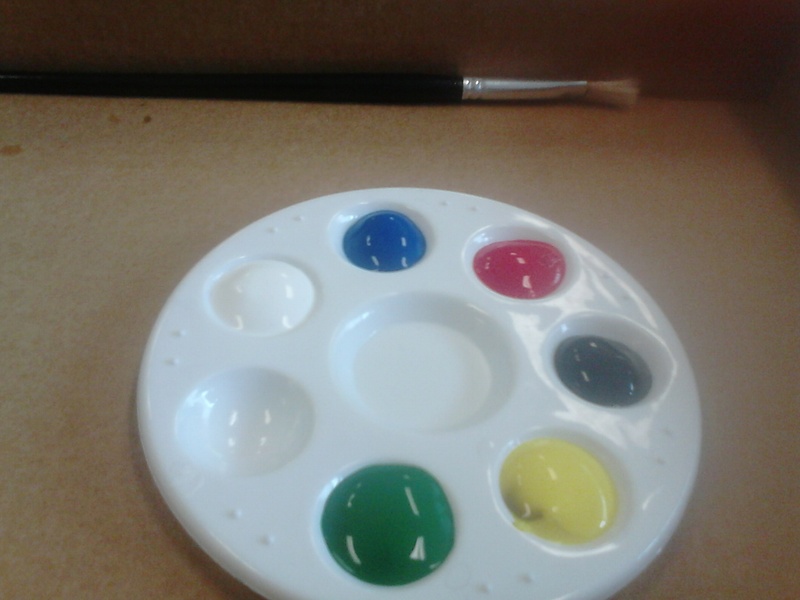 Now its time to create something special. The Little Plaster House has everything organised with a Party Schedule to keep the children entertained for the time they are there. You and your guests, arrive, choose a plaster of their choice from the extensive range of beautiful plasters available. You might like to paint a unicorn or a horse, a snail or a beautiful butterfly. Then it's time to get creative! You'd be amazed at how much fun, concentration and skill is involved in painting one of these plasters. There are gold, rainbow and silver sprinkles that can add to what I discovered to be some very eclectic original painting skills. Gloss too. All this painting is done on a lovely tray with a water a sponge available. The paints are water based and aprons are provided to help keep party clothes partying. A separate table for party snacks and drinks and for having the cake. The celebrant may choose the best painter from their guests and that lucky child will receive a surprise treat. Each child goes home with their finished plaster and a sweet party treat. Remember the Little Plaster House is a party place. Party times available on weekends are listed below. Casual play times are announced on Facebook. Madeline with Lady Gaga the Ladybug. 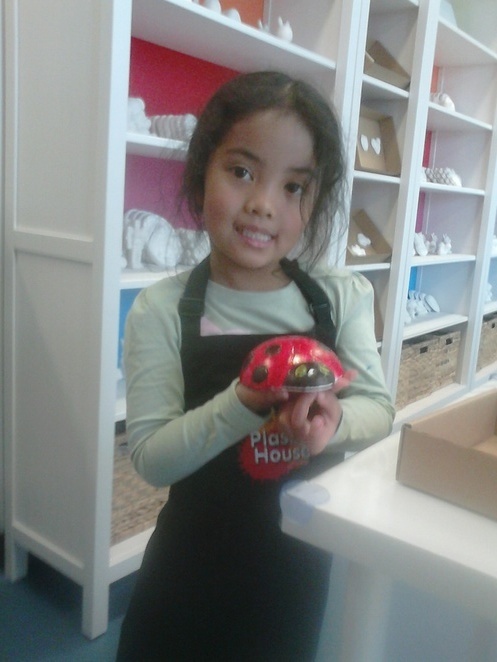 The Little Plaster House is also creating a Holiday program for the school holidays and they very are happy to take group bookings from mothers groups, vacation care, playgroups or just be a place to get together with friends and leave all the cleaning up behind. The atmosphere is great. Ideal for a party of children or for quality time on your own. Children and adults alike become absorbed in their creations and a really fun and creative time can be had. Everything is provided and so very well organised. The Little Plaster House also has the most amazing cupcakes. These cupcakes really are something to be had. I took home with me the most amazing red velvet cupcake and it was literally the very best cupcake I have ever had. I would recommend them for the cupcakes alone. 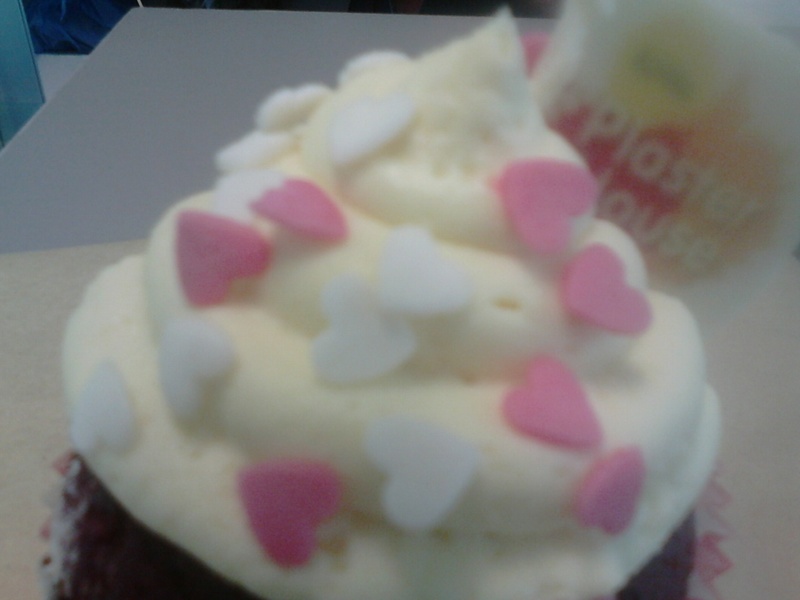 The best Cup Cake Ive tasted yet! You may even be able to order a superb Birthday Cake there now. So, whilst the children paint, parents can relax with a coffee and cup cake or they can join in too. There's even an Art-Tea Party for a girls night out. The Little Plaster House is on Facebook. Casual playtimes are announced on Facebook with the whole range of plasters and canvases available. Why? Plaster and Paint Parties 4 the Western Suburbs. Cost: Varies from Casual play days to Organized Party costs. Great idea to keep the children entertained and leave your house untouched at the same time. Win-win!